Please remember to view the full information about TOEFL in our PDF profile. There you will find additional information about scoring, test fees and registration, how to prepare, and where to find more information. You can also save or print a copy for your records. Test of English as a Foreign Language, or TOEFL, evaluates the potential success of an individual to use and understand Standard American English at a college level. A TOEFL score is valid for two years and then is deleted from the official database. 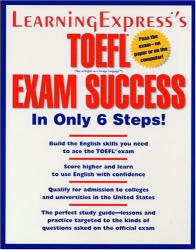 The TOEFL is the most widely used standardized test to measure a prospective student’s English ability. Most American universities require international students for both undergraduate and graduate programs to take the TOEFL. Universities in other countries will generally accept either TOEFL or IELTS scores. The TOEFL test is a registered trademark of Educational Testing Service (ETS) and is administered worldwide. The test was first administered 1964 and has since been taken by nearly 20 million students. There are two formats for the exam: Internet- and Paper-based. In Yangon, you will probably need to take the paper-based format. Since its introduction in late 2005, the Internet-based test (iBT) has progressively replaced both the computer-based (CBT) and paper-based (PBT) tests. The iBT has been introduced in phases, with the United States, Canada, France, Germany, and Italy in 2005 and the rest of the world in 2006, with test centers added regularly. The demand for test seats remains very high even after almost a year after the introduction of the test: Candidates have to wait for months since short-term test dates are fully booked. The four-hour test consists of four sections, each measuring mainly one of the basic language skills (although some tasks may require multiple skills) and focusing on language used in an academic, higher-education environment. Note-taking is allowed during the iBT. Reading: After each academic reading passage (out of 3–5), questions are posed about content, intent of the author, and ideas inferred from the passage. New types of questions in the iBT require paraphrasing, filling out tables, or completing summaries. Generally prior knowledge of the subject under discussion is not necessary to come to the correct answer, though a priori knowledge may help. Listening: Questions refer to the content and intent of the phrases, as well as to the speakers’ attitude and meaning, either in short conversations or in lectures. Speaking: New to the iBT, this section contains questions relating to personal experiences or preferences, as well as tasks that also involve reading passages and listening to short conversations and lectures. Test takers are expected to convey information, explain ideas, and defend opinions clearly, coherently, and accurately. Writing: One task requires test takers to defend a position relative to a specified general topic. In the other task, a reading passage and a lecture are presented, and test takers must answer a question relating the main points of both the passage and the lecture. In areas where the iBT is not available, a paper-based test (PBT) is given. The PBT tests essentially the same skills as the old computer-based test, albeit with some differences, noticeably the number of questions (which is higher in the PBT) and the score scales.